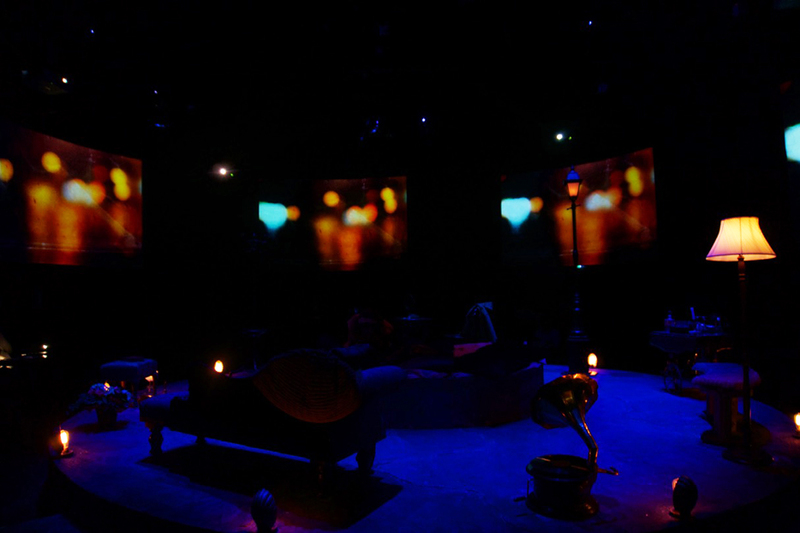 For La Ronde I created 10 individual moving image designs, each set in a different decade of the 20th century. For the performance these were projected onto 6 curved screens hung in a circle behind the audience. Directed by Lynne Parker. Sound design: Dennis Clohessy. Lighting: Kevin Smith. Set and costume: Sarah Foley. AV Assistant Gary Maguire.